At DFW Nerd Herd, we understand the importance of your precious data. In this day and age, many of our life events are captured and stored electronically on our computers. Unfortunately, many people do not think to create backups of their precious data. The good news is that DFW Nerd Herd offers data loss prevention, data recovery and data transfers. Our Data Recovery Service is applicable for Hard Drives and Flash Media. We can attempt to recover your data in house for $200. If your drive requires advanced recovery we will use advanced data recovery techniques in an ISO-5 certified horizontal flow class 100-workstation. 100% confidentiality – we value your data security. 99% success rate and we are proud of it. No Obligation FREE Diagnostics on all Damaged Hard Drives. 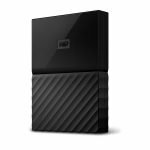 Drives that require advanced recovery methods or a custom recovery solution such as a formatted or failing drive. Drives that are physically damaged or require extreme recovery procedures may be sent to a clean room for recovery. We offer several backup solutions and are able to keep your precious data safe and secure through either cloud based storage or local hardware based storage solutions. If you do not have your pictures, music, documents, and other important data backed up, do so immediately! Data loss is often unpredictable, and can happen at any time. And no, a usb flash drive is not a sufficient long-term storage solution. 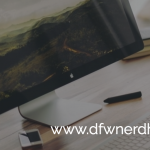 For information on DFW Nerd Herd’s backup solutions, please call us at (817) 781-6940. 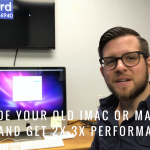 At DFW Nerd Herd, we offer both hard drive and flash media recovery solutions. The majority of Data recovery is performed in house; however, severe data damage must be sent to one of the many third party data recovery experts that we have teamed up with. Whether you have a broken flash drive or a clicking hard drive, we have the recovery options to meet your needs. To get started, call DFW Nerd Herd at (817) 781-6940. 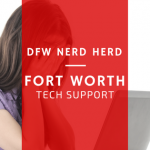 DFW Nerd Herd offers data transfer services for transferring between one computer to another or to an additional storage medium. This service is often used when we do a fresh OS installation, and you need your personal files transferred over. Another common need for this service is when you would like to transfer data from your old computer to a new computer. We can easily transfer data from nearly any medium to any computer or storage device. Call us today for a consultation. (817) 781-6940.